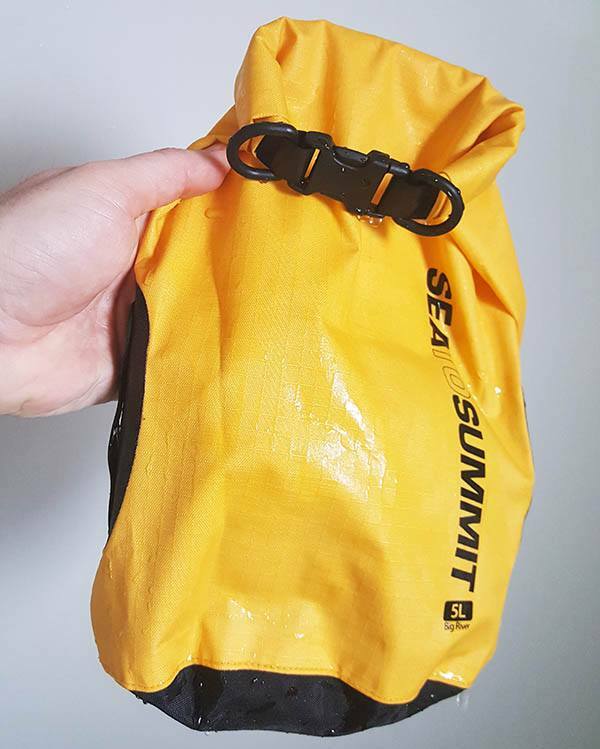 If your adventures involve water or bad weather you need a dry bag. It’s an inexpensive piece of gear that will protect your electronics, food and keep your clothes dry from the elements. 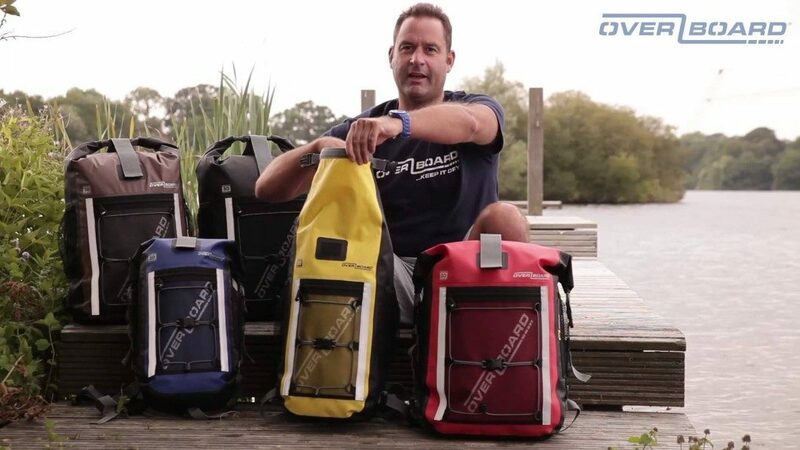 There’s a lot to choose from but The﻿ Big River Dry Bag is one of the best. So we bought one, beat it up, sank it and turned it inside out just to see if you can trust it with your gear. Made of 420 denier fabric the exterior of the bag can take some abuse and has a heavy feel to it. 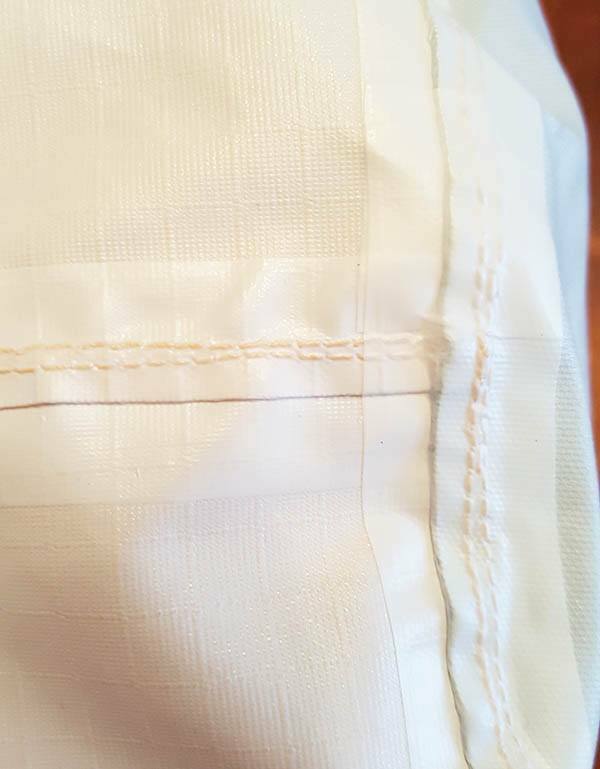 Seams are reinforced and double stitched and the hardware is of high quality. 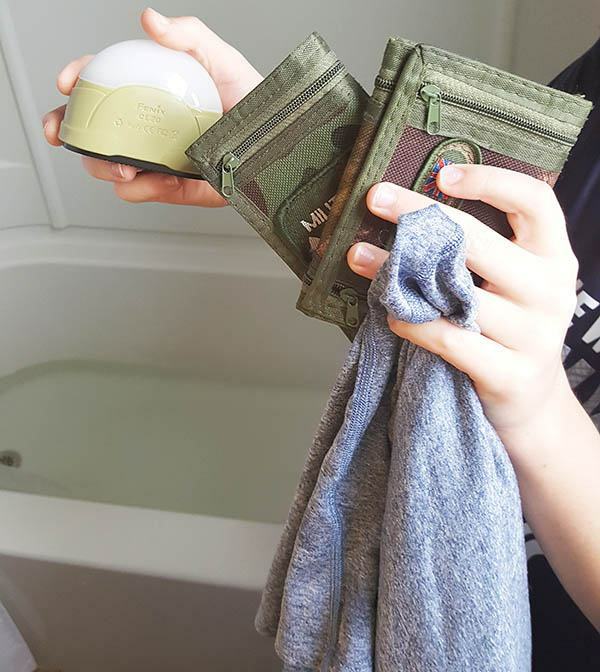 The Big River uses the standard roll top design and the bag itself is oval shaped, not round, which may not seem like a big deal but it makes it much easier to stack and if you pack it full it tends to not roll around quite as much as a round bag. The Hypalon rubber strip at the top of the bag creates a watertight seal when you roll it at least three times and clip the buckle. I have found that four rolls creates the best seal and if you leave a little air in the bag it will give it some extra floatation. You lose about one inch of space for each roll down, keep that in mind when determining what size bag you need. Turning it inside out you can see what it’s really made of. 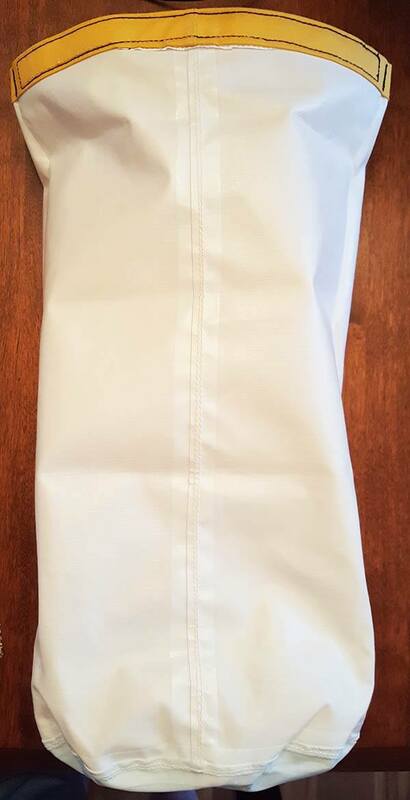 The white, TPU (Thermoplastic Polyurethane) laminated fabric, which has a waterproof rating of 10,000 MM. 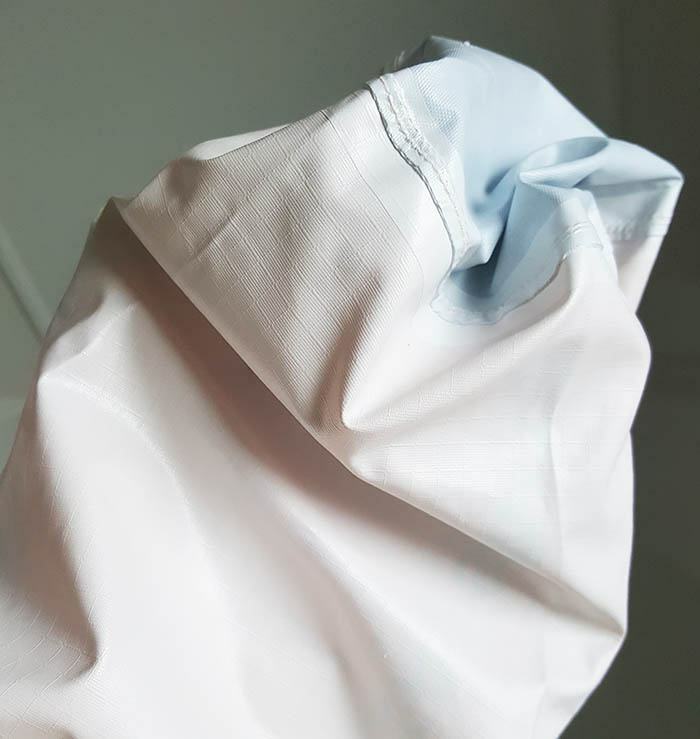 Which means if you put a square tube with inner dimensions of 1” x 1” over a piece of said fabric, you could fill it with water to a height of 10,000 mm (32.8 feet) before water would begin to leak through. So unless you plan on submerging this bag to a depth of over 30 feet, for a long period of time, you shouldn’t have any issues. Heavy duty seams are obviously important. 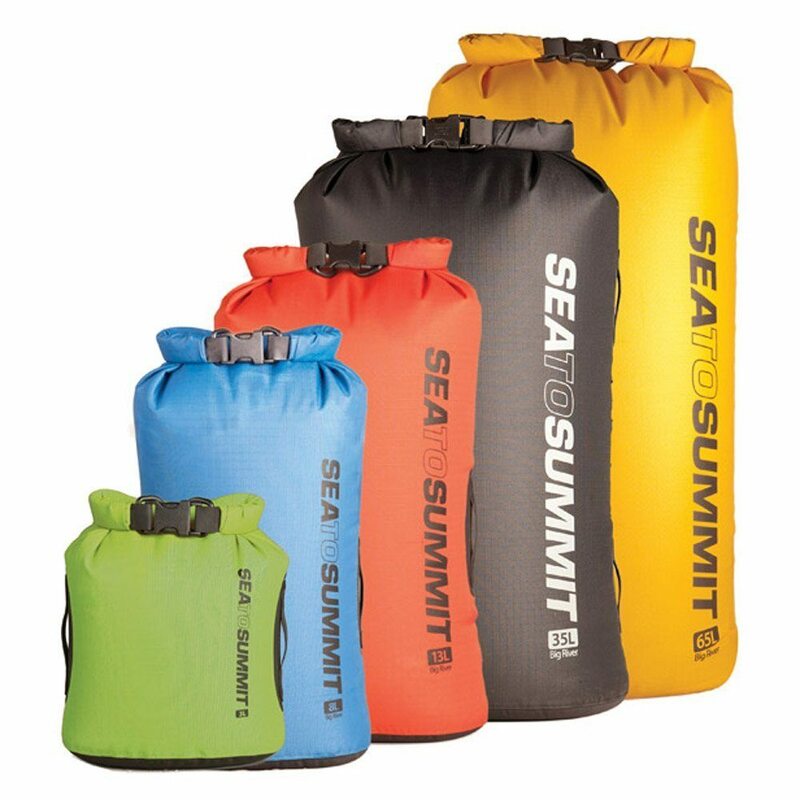 The Big River Dry Bag has double stitched seams which are then heavily taped and heat sealed. They’re overbuilt on purpose to make sure it’s stays dry year after year. The first of several tests we put the Big River through was the bathtub dunk test. If it can’t pass this simple test, it isn’t worth your money. Packed with an EMS Techwick T-Shirt, two wallets and a Fenix CL20 camp lantern it’s ready to be sunk. Four rolls of the top, click the buckle and it’s ready to go. 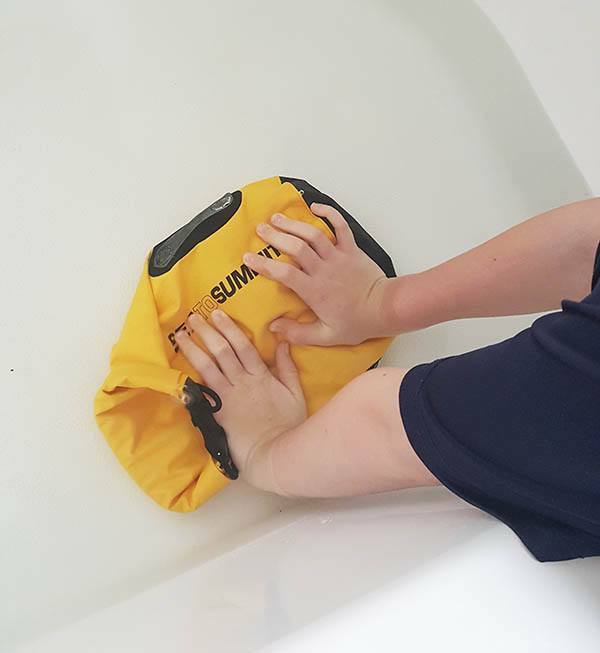 A bathtub full of cold water may not seem like a tough test for a dry bag, but in the hands of an eight year old who aggressively pressed it to the bottom with all his weight for 5 minutes it gets somewhat tougher. 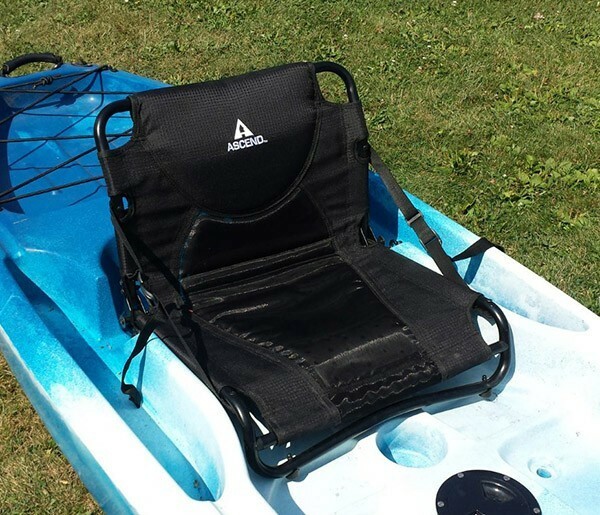 With a light load, the bag is very buoyant, even after pressing the air out of it, it pops up quickly making it easy to retrieve should it end up in the lake, river, or ocean. 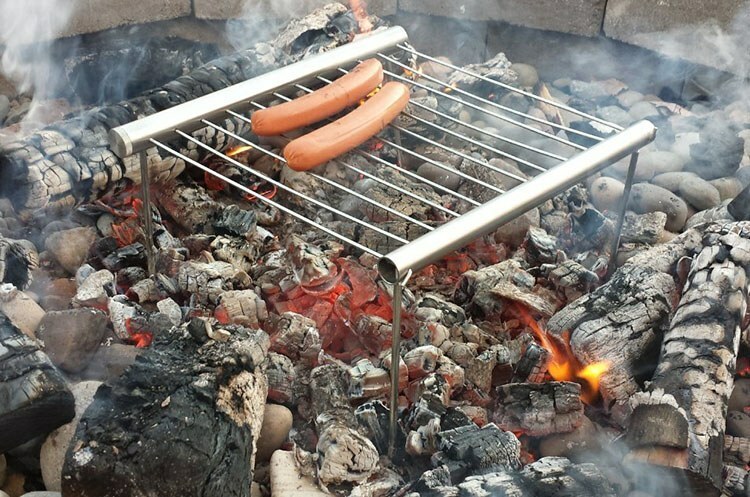 After being submerged for five minutes everything came out perfectly dry, just as it should. Turning the bag inside out again there was no moisture at any of the seams or stress points, it was completely dry. When you open the bag after it’s been soaked you can get some water in it from wet hands and the outside of the bag. Drying your hands and turning the rim off the bag down can help keep everything completely dry. 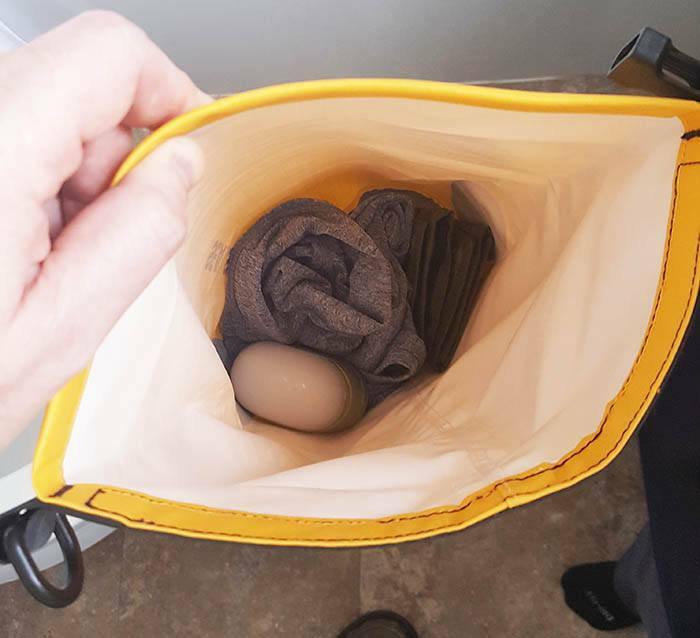 It definitely got a passing grade in this simple test, stay tuned for some tougher tests, like when we send the Big River Dry Bag to the bottom of our local lake (as soon as the water warms up). The main function of a dry bag is to be waterproof, the more features and doohickies you add to it the greater the risk of a leak. 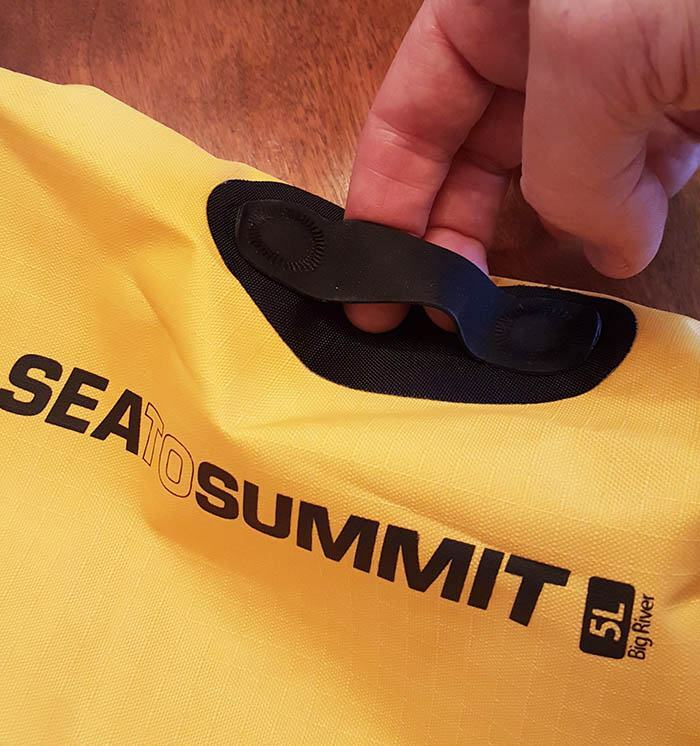 Fortunately, Sea to Summit decided to keep it simple and added only two Hypalon lash loops which are heat sealed to the fabric and made of synthetic rubber. 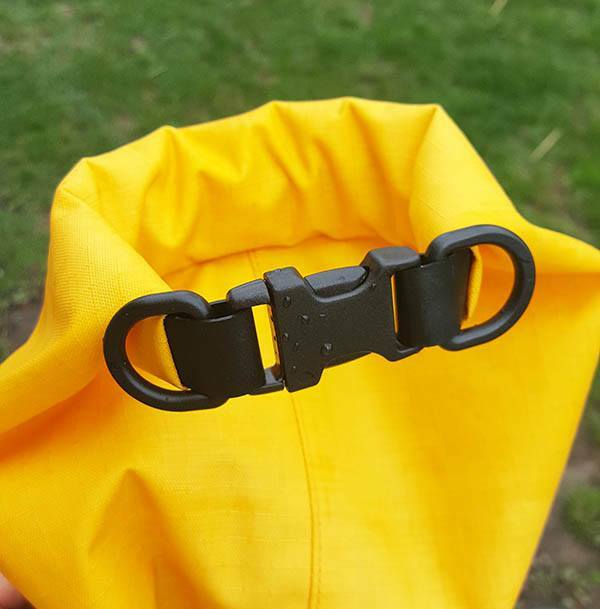 There are also two D-rings attached to the buckle which come in handy if you want to hang the bag somewhere or as an addition lash point. 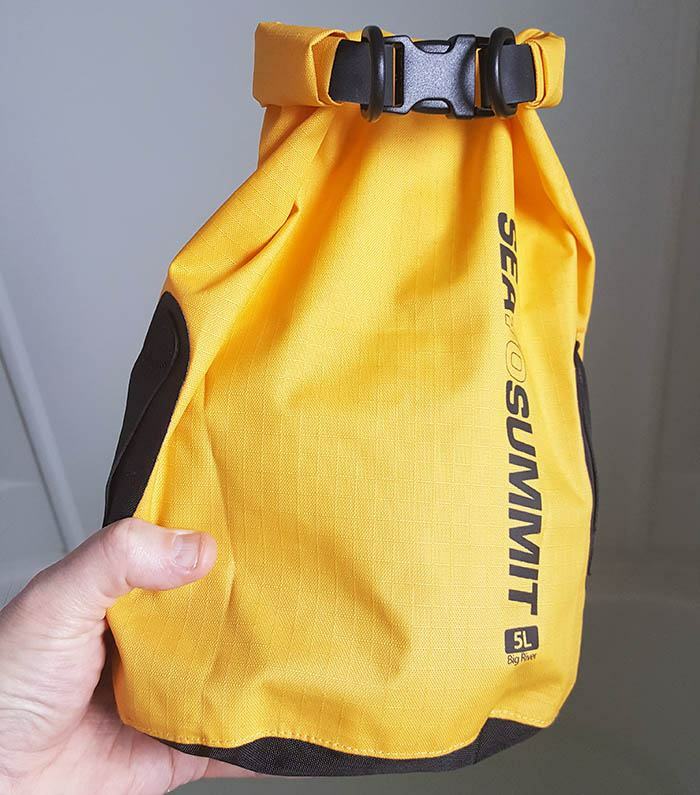 This was the question we set out to answer and we would recommend the Big River to any outdoorsman who needs a quality dry bag without a bunch of bells and whistles. 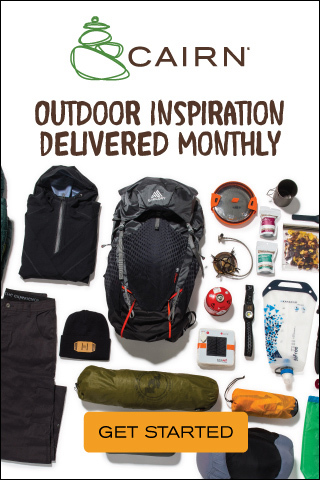 Your gear will stay dry in wet weather, if it falls in the lake, or if you take a wave over the side. 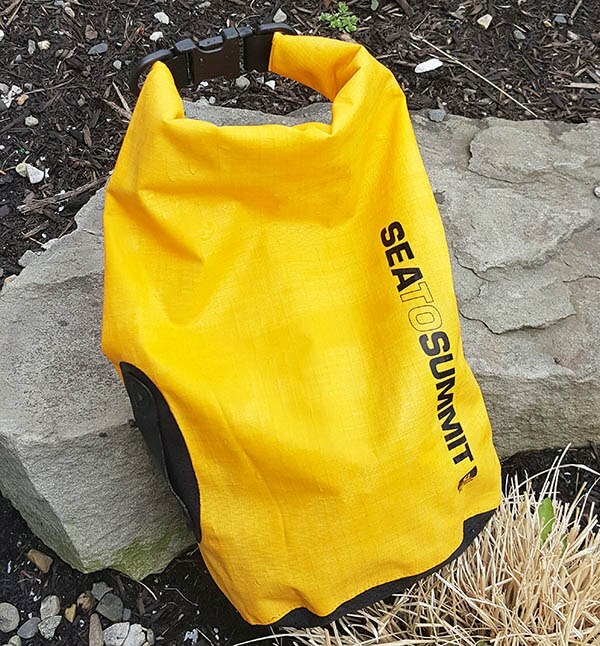 With overbuilt seams, durable waterproof fabric and a rating to 30 feet it’s a great bag. Pick the right size for your needs and it will last for years. Sizes range from 5 liters (which is what I tested here) up to 65 liters, prices range from $20 up to $60 which is a great value. 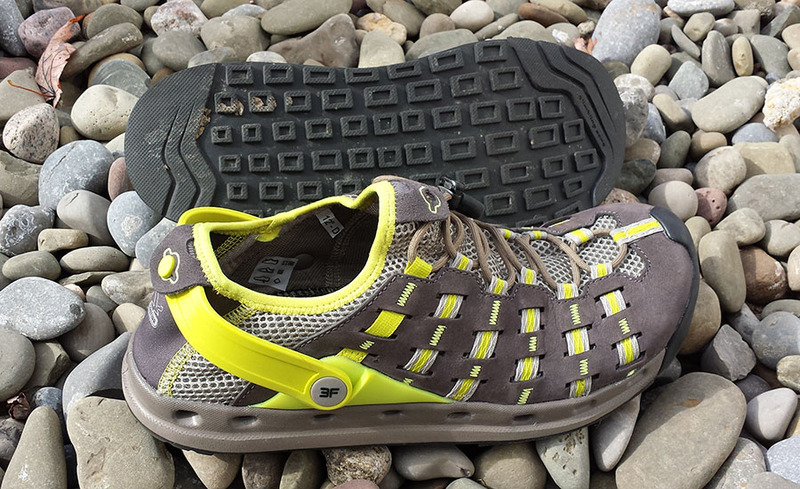 The Big River also comes in several colors including yellow, black, orange blue and green. As always thank you for taking the time to visit Gear Cloud. 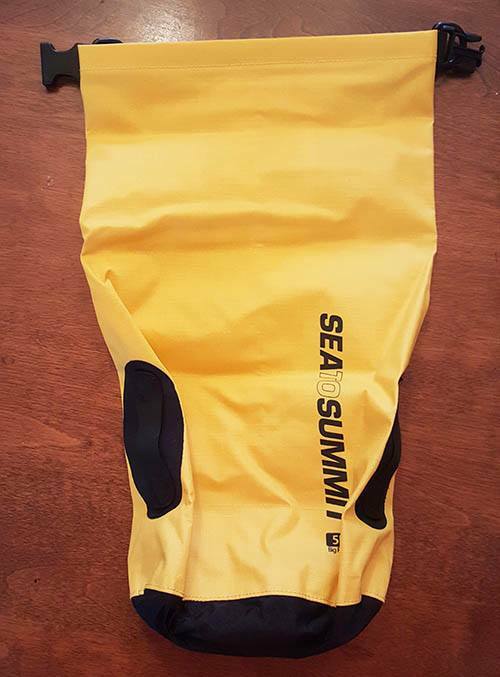 We hope this article was helpful should you be in the market for a dry bag. 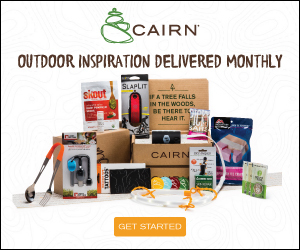 PreviousFishpond Bighorn Kit Bag. The AWOL Bag for Fly Fishermen. NextLeatherman Style PS, The Travelers Multi Tool.